There was a time when cell phones used to come in a variety of form factors such as bar, flip, slide, swivel etc. But with the advent of the age of smartphones ‘bar’ style cell phones have almost completely taken over, leaving only a sliver of other form factors, most of which are old models. 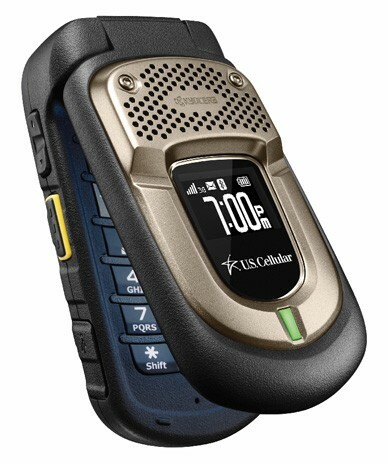 But just when we thought manufacturers had completely forgotten these other form factors even existed, in comes an announcement from Kyocera and U.S Cellular. The duo have announced the Kyocera DuraPro, which is a flip phone. It is not just any flip phone though. The DuraPro belongs to the rugged type. The sort you can toss about and manhandle, and it will silently take all the abuse without breaking down. Kyocera says, the DuraPro has cleared “Military Standard 810G certification”, meaning it can take on the elements, be it water, shock, dust, heat, vibration, low pressure, solar radiation, salt fog and humidity. It can withstand immersion in water a meter deep, up to 30 minute as well. The phone is encased in a non-slip “Dura-Grip” material that will provide both grip and added protection. The phone has all the necessary basic functions and feature sets such as email, a web browser, navigation tools, etc,. The Kyocera DuraPro also has programmable external keys that can be used to access Bluetooth, calendar and alarm functions. The phone even comes with a 3.2MP camera. Kyocera DuraPro will be available starting from the end of this month with U.S Cellular for $99.99 after a $50 mail-in rebate. Is this phone available in Canada, and if so do you have any information on where, with which providers. I would be greatful for your help.